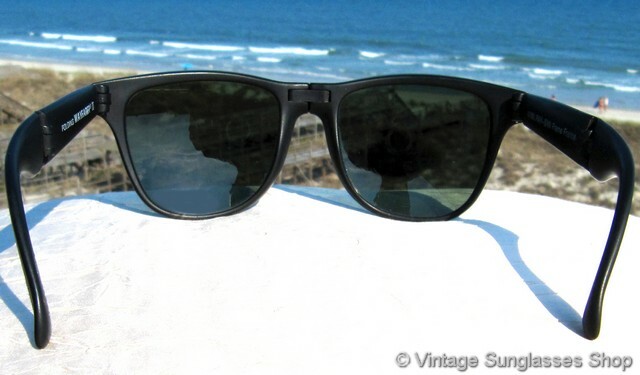 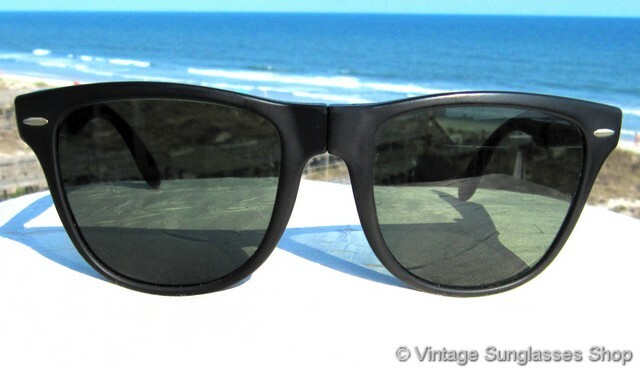 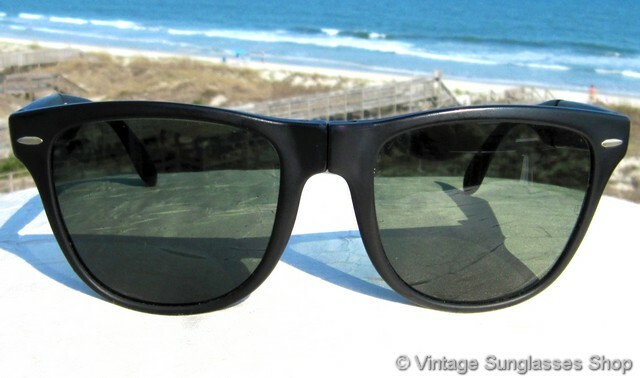 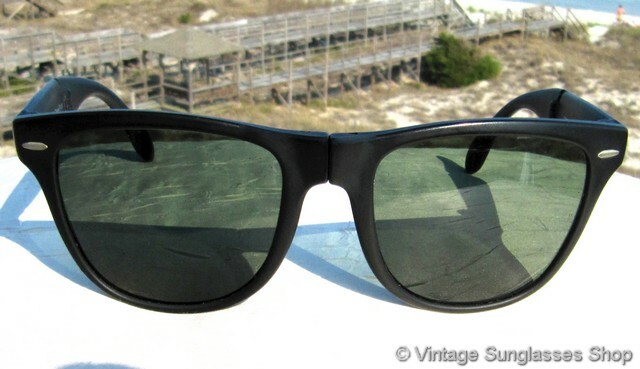 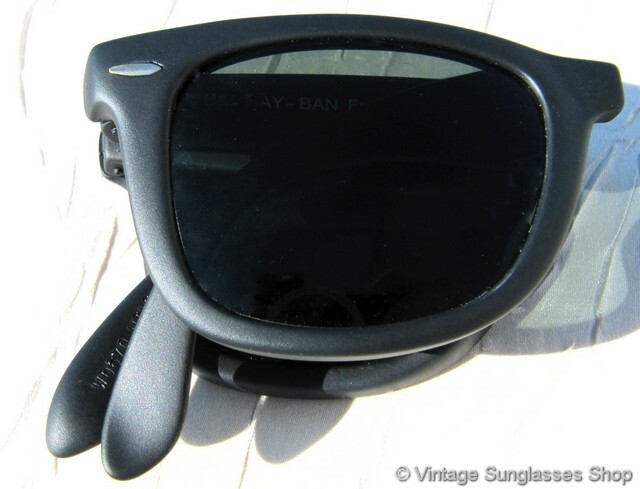 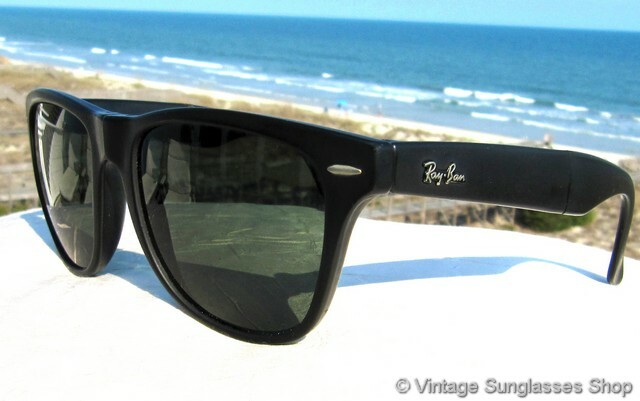 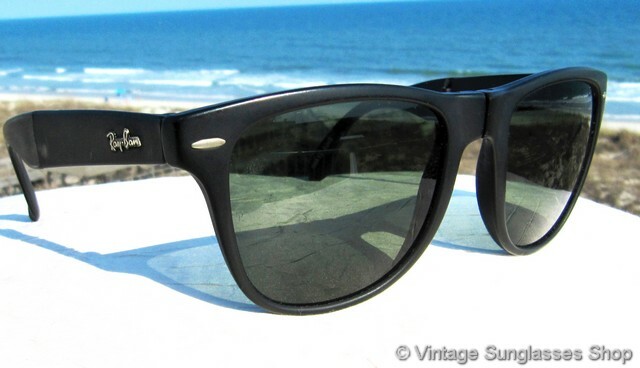 Vintage Ray-Ban W0871 Wayfarer II folding sunglasses are a real engineering marvel, folding up to a package no larger than a single lens and fitting within the included pocket size Wayfarer II folding sunglasses B&L Ray-Ban case. 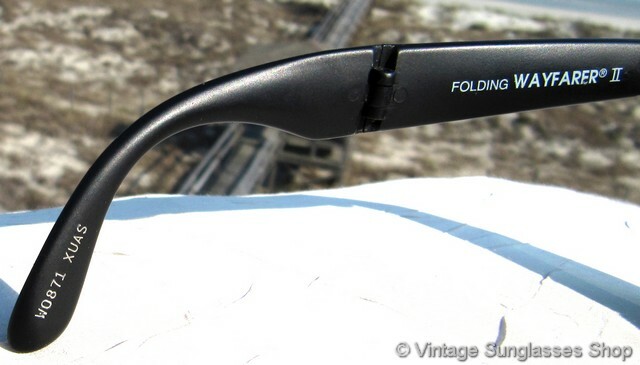 The ear stems fold inward halfway down the stem, and then the stems fold inward and the hinged nose bridge folds inward to create this amazingly small package. 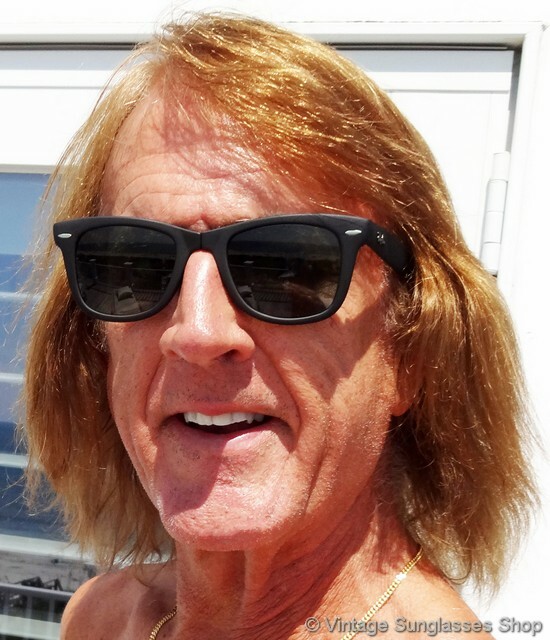 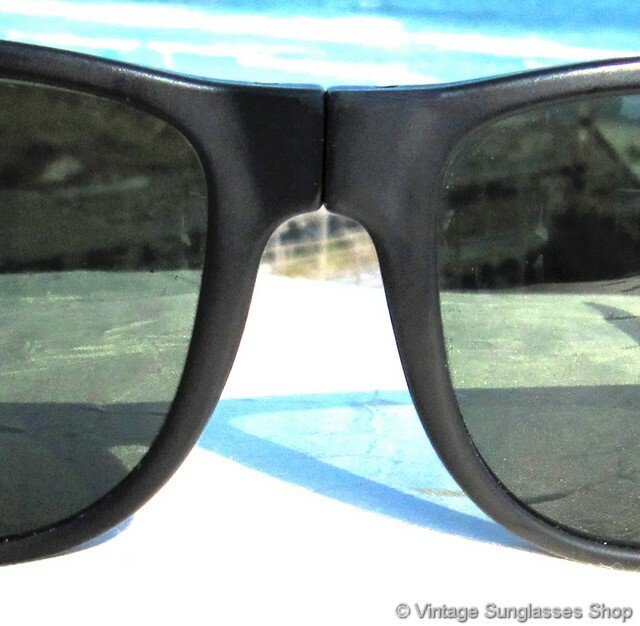 When unfolded, you have a full size pair of matte black Ray-Ban Wayfarer II sunglasses with original Bausch & Lomb G-15 lenses that look great with the matte black frame. 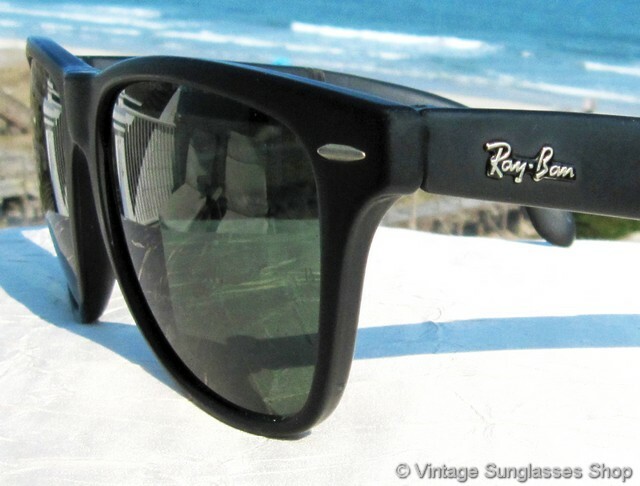 The unisex Ray-Ban W0871 Wayfarer II frame measures approximately 5.875" temple to temple when opened, and the lenses measure approximately 2.125" x 1.75" at the widest points with both lenses laser etched BL near the hinges. 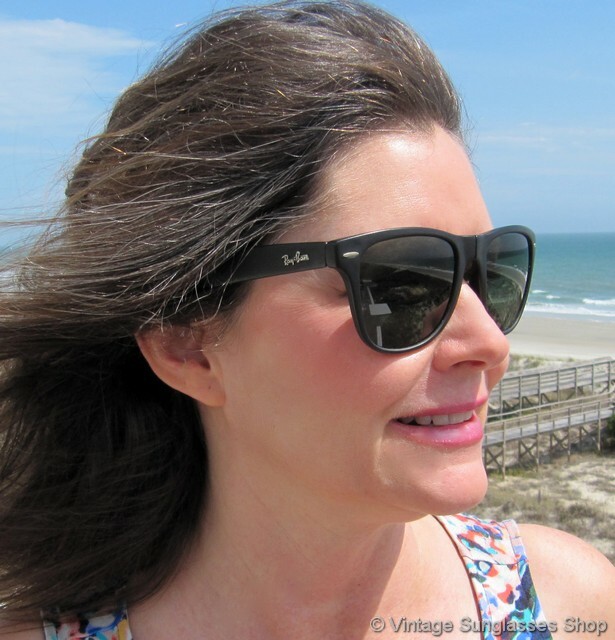 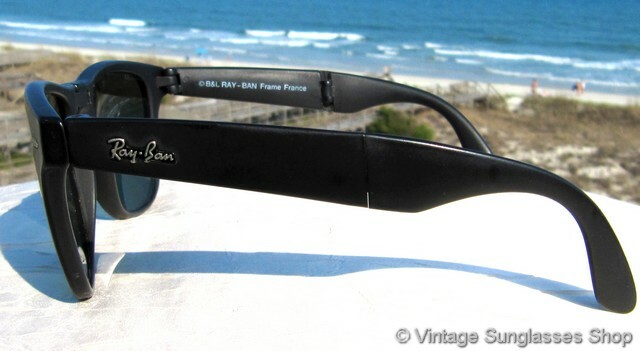 You'll find the Ray-Ban logo in raised metal relief on the exterior of both ear stems, and the inside of one stem is marked B&L Ray-Ban Frame France while the inside of the other stem is marked Folding Wayfarer II and one ear pad is impressed W0871XUAS. 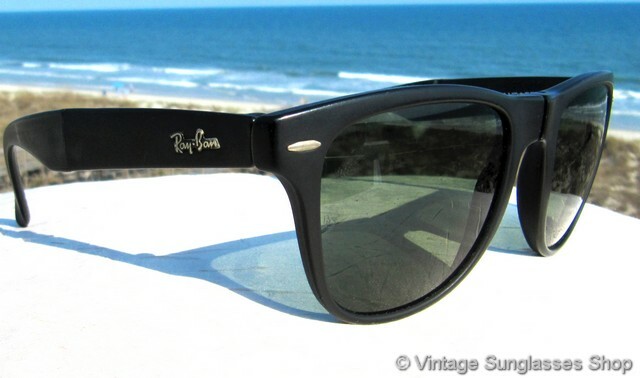 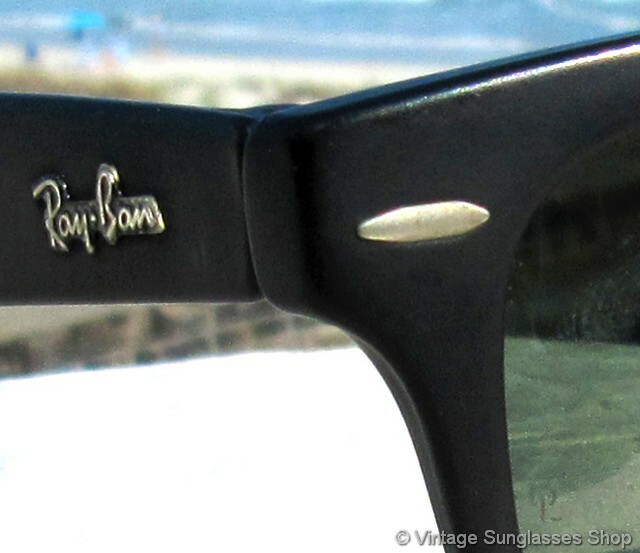 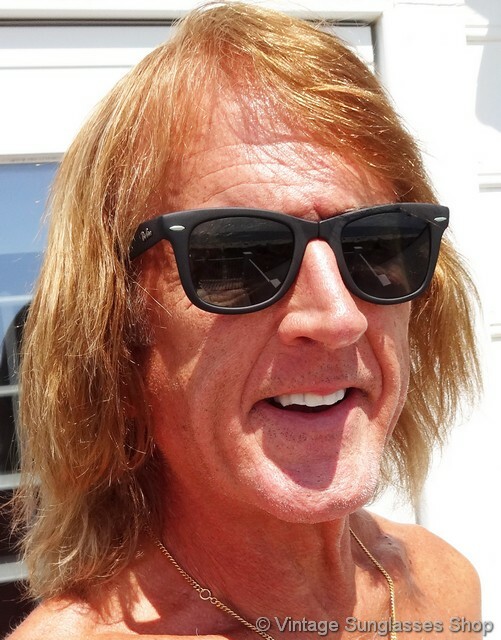 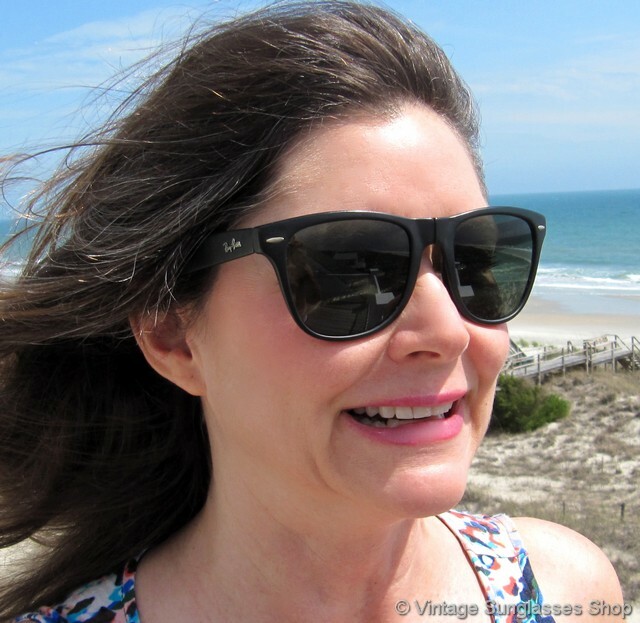 Also see our vintage Ray-Ban W0670 folding Wayfarer sunglasses, item vs632, and thanks for visiting and shopping at the Vintage Sunglasses Shop!